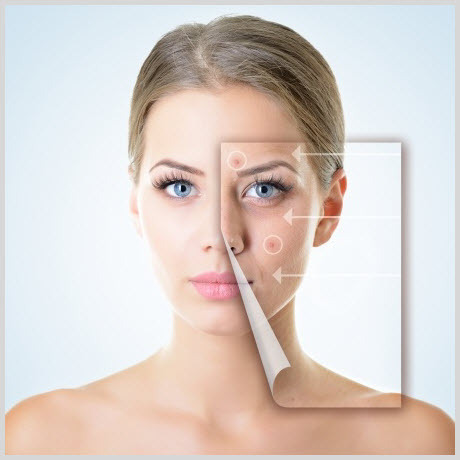 Acne can often make someone feel very self-conscious and can lower self-esteem, however, there is a solution, IPL Acne treatment. Using IPL and RF fights the propioni bacteria that causes the inflammation and reduces the size of the sebaceous glands and the quantity of sebum they produce. When Porphyrins absorbs the light, heat is produced and photo-thermal process releases chemical substances that destroy the propionic bacterium, the acne retreats and the skins condition improves noticeably. IPL / RF can fight and destroy the propionic bacteria causing the sore, red inflamed acne, resulting in a marked improvement in skin and complexion. The sebaceous glands are located right next to the hair shaft and contain a pigment called porphyrin. The reaction of light and porphyrin releases chemical substances that destroy or significantly reduce the basis for the life of the skin’s own propioni bacteria. The symptoms of acne begin to decline and the appearance of the skin improves dramatically. Will the acne go for good? It will treat current acne and redness very successfully. However if acne returns again its best to return for a further treatment. With acne treatment, very few treatments are needed.